You’re at the airport car rental counter to find a convertible for the weekend — for business, of course. “No problem,” says the sales rep. But before handing you the keys, she asks if you’d like additional Physical Damage coverage. This leaves you with a problem: Should you pay the extra money or trust your own insurance? Your Business Auto insurance will probably pay for your liability on the business rental, but coverage for damage to the rental vehicle can be more complicated. You might be covered under your Business Auto or Personal Auto policy, or even the credit card that you used to pay for the rental, Depending on the situation, it’s also possible that none of them will pay very much. To make things even more confusing, laws in a number of states limit your responsibility for damage to the rental – if coverage applies under any of the above, there might still be exclusions and limitations. Rent from a reputable company. 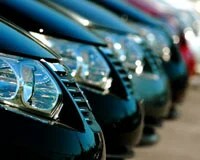 The national car rental firms tend to have standardized contracts with tested language. Local or smaller businesses often develop their own contracts, and without legal assistance it might be nearly impossible to determine exactly what you’ve agreed to. When in doubt, ask. The person at the rental counter might not be sure about what coverage she’s selling, so be sure to ask to speak to someone who can clearly explain what you are and are not responsible for. If you’re unsure, walk away. Talk with us before your trip. We’d be happy to explain your options. Workers Compensation fraud is a widespread and serious problem that’s not only illegal, but leads to higher insurance premiums for all businesses – including yours. Monday morning report of injury. The alleged injury occurs first thing on Monday, or late Friday afternoon, but is not reported until Monday. Change in employment status. The reported accident occurs immediately before or after a strike, job termination, layoff, end of a major project, or the conclusion of seasonal work. Suspicious providers. The claimant’s medical provider or legal consultant has a history of handling dubious claims. Lack of witnesses. No one else saw the accident and the employee’s description does not support the cause of the injury. Conflicting descriptions. 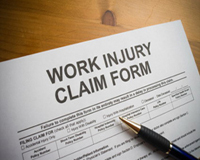 The employee’s account of the accident doesn’t match with the medical history or injury report. History of claims. The employee has filed a number of questionable or litigated claims. Refusal of treatment. The claimant declines a diagnostic procedure to confirm the nature or extent of the injury. Late reporting. The employee delays reporting the incident without a reasonable explanation. Elusiveness. The allegedly disabled employee is hard to reach. If one of your workers files a claim that has some of these warning signs, be sure to let us know. We’ll work with you and your Workers Comp carrier to check it out.